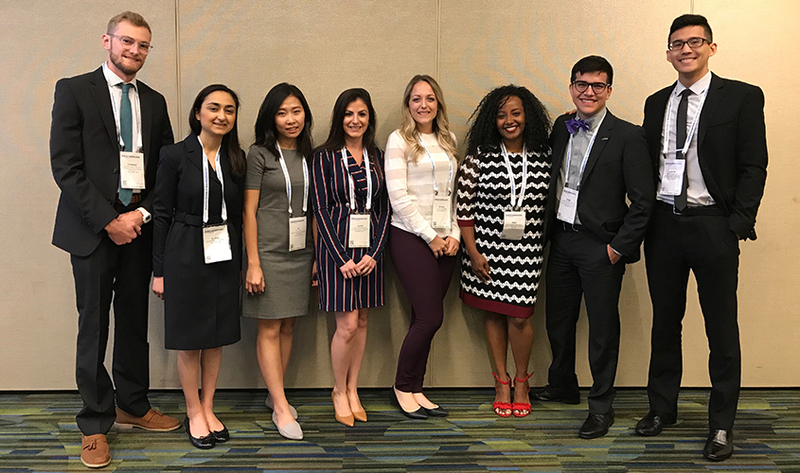 St. George’s University student Stacia Griebahn (fourth from right) with her colleagues at the American Society of Anesthesiologists annual meeting in San Francisco. Before, during, and after surgical operations, anesthesiologists work carefully behind the scenes, monitoring patients’ pain throughout. 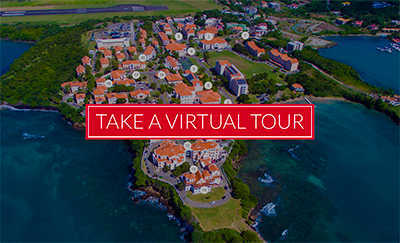 It’s part of the reason why St. George’s University Term 4 student Stacia Griebahn has longed wanted to become one—to fill an important role in health care, albeit quietly. Yet at the American Society of Anesthesiologists (ASA) annual conference in San Francisco earlier this month, in vying for the role of President of the organization’s Medical Student Governing Council (MSGC), she was front and center, presenting to the Council’s 60-member House of Delegates. Ms. Griebahn shined, and in being elected President, she became the first-ever student from an international medical school to be named to the Council’s 10-person board. She will serve as its President-Elect for one year beginning on November 1, before assuming the role of President on November 1, 2019. Ms. Griebahn joined the ASA as a medical student representative at the behest of John Madden, MD SGU ’81, the Director of SGU’s Office of Career Guidance and Student Development, who implores students to gain exposure to various medical specialties during their basic science years. When the ASA advertised an opening on the Council board in an email to its membership, she leapt at the opportunity, and with the support of the Dean of Students office at SGU, submitted her name and credentials for consideration. The Council’s 60-member delegation—one for each medical school represented—evaluated candidates based on their background in anesthesiology, personal statement, letters of recommendation, and finally the candidates’ speeches at the ASA meeting. Ms. Griebahn was the only non-US medical school student who ran for the position, with several candidates hailing from prestigious US institutions. The appointment is only the latest chapter in her journey toward a career in pain management. The course was set at a young age when a family member’s surgery was deemed a success thanks in part to anesthetics. Ms. Griebahn delved further into anesthesiology by observing its implementation internationally. She shadowed an anesthesiologist during a visit to Venice, Italy, and another physician in a trip to South Africa through the Cape Town-based program, Volunteer Adventure Corps, while completing her undergraduate studies at the University of Illinois at Chicago. In addition, she has worked as a patient care technician, providing her a glimpse of health care across all specialties, including pain management. Since arriving at SGU, Ms. Griebahn has served as Vice President of the Anesthesiology Interest Group (AIG). Most recently, group members have sought recognition as an official student club, which would allow it to receive funding from SGU’s Student Government Association. She expects that AIG will attain that distinction this fall. As MSGC President, Ms. Griebahn hopes to further build out the MSGC’s ongoing resident/medical student mentor program. 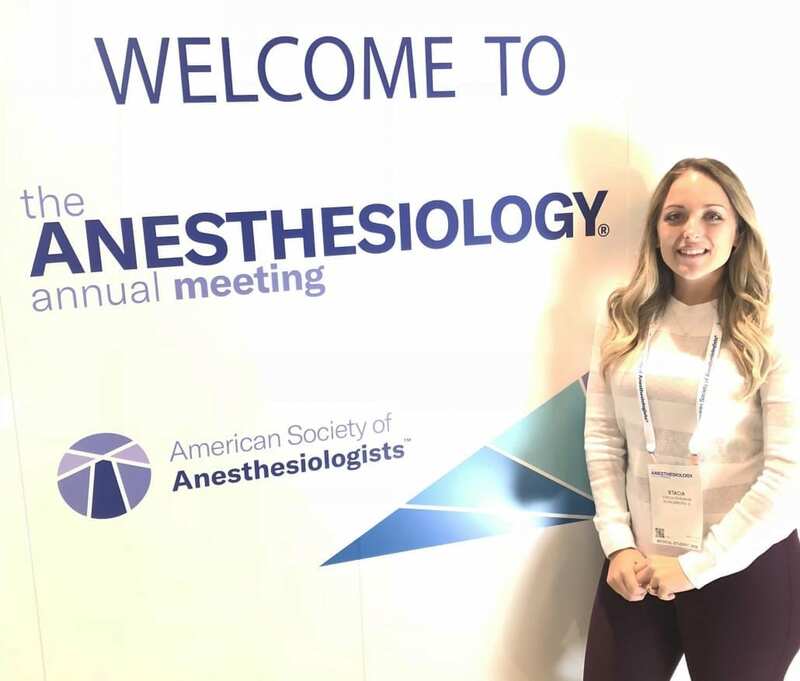 She also aims to better connect the anesthesiology clubs and interest groups at universities across the US and beyond, and to generate interest in anesthesiology at institutions that haven’t yet formed a club.